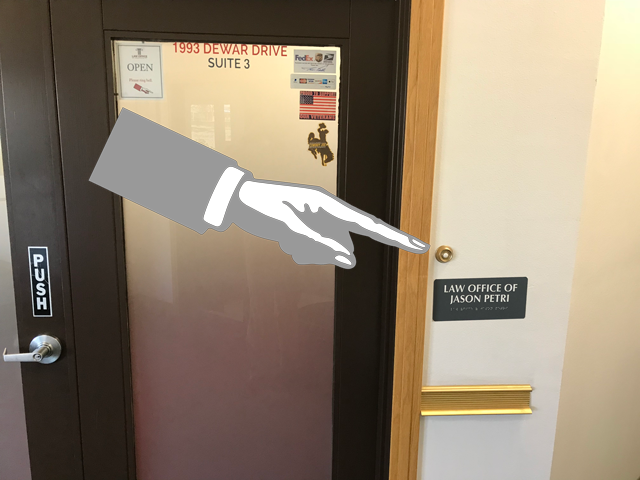 The Law Office of Jason Petri, P.C. 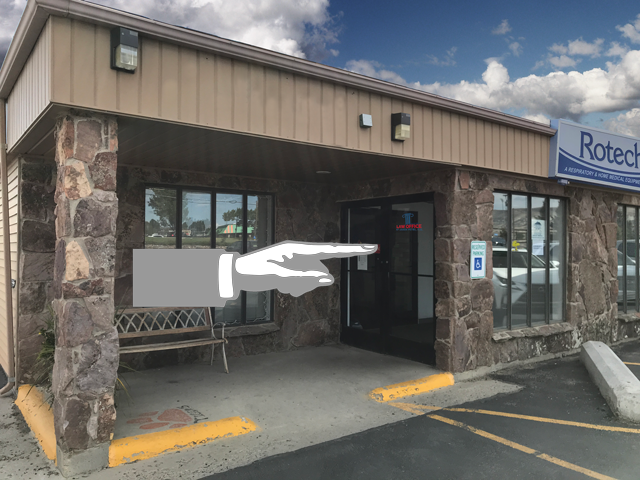 is located at 1993 Dewar Drive, Suite 3, in Rock Springs, Wyoming. You can click on the map above to see a larger map or for driving directions. 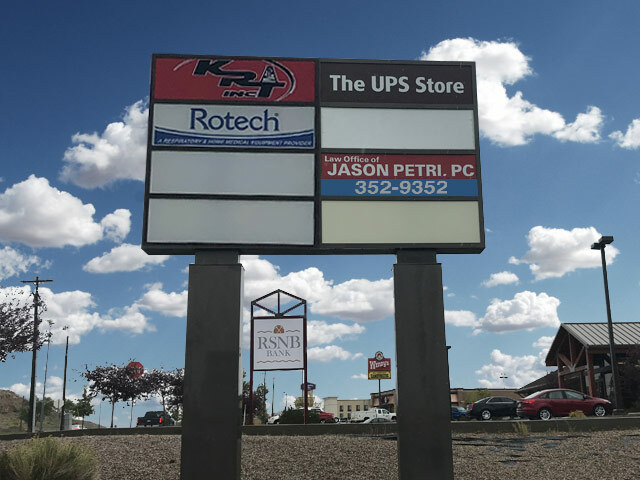 The Law Office of Jason Petri, P.C., is next to RSNB Bank, (which is next to Wendy's) and is located in the same building as the UPS Store, Community Home Oxygen and Medical Supplies, and is across the hall from the what used to be the Real Estate Pros. 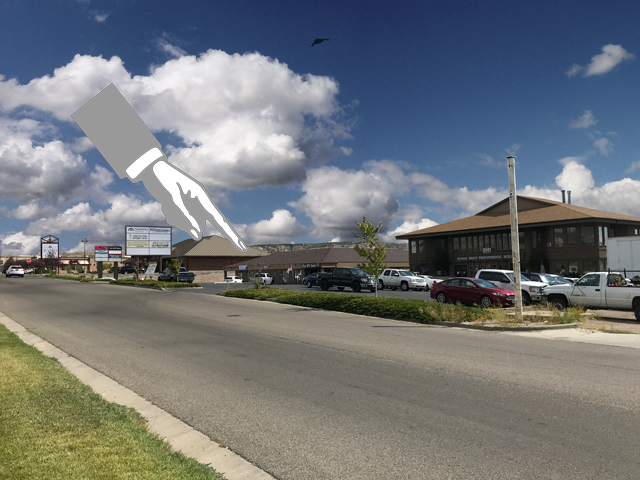 If you are coming from the east, or heading toward the mall, the office is here. If you are coming from the west, or heading away from the mall, the office is here. 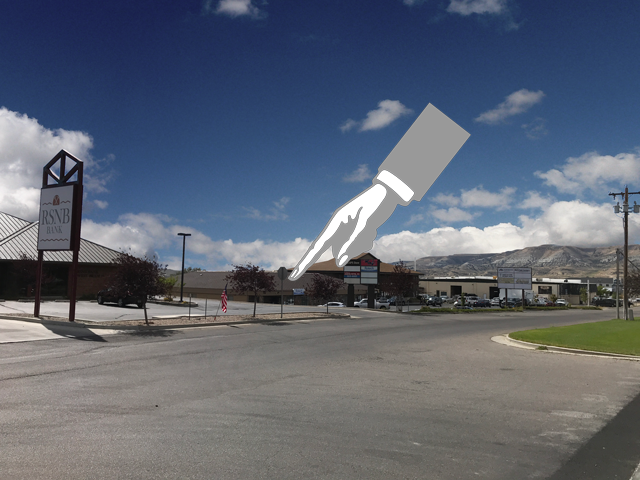 This is the sign in the parking lot as you are looking east (you can also see RSNB Bank and Wendy's in the distance). This is the door to the office. 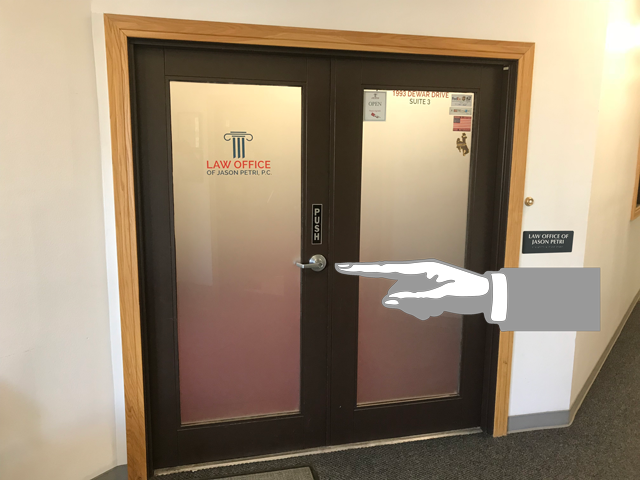 After you enter the building, the door will be on your left. Privacy and confidentiality are important to all clients, so please ring the bell and wait for assistance.